In Singapore, different ethnic groups with different cultural backgrounds live in close proximity to one another. This has brought about a sense of community and contributed to the multicultural society we live in today. Some plants are commonly used among the Chinese, Indians and Malays. Here is what our Hawthorn English students had to say. Last Friday, we had our long awaited excursion. It was great to have classes outside for a change. We met at school and made Christmas cards for orphans. After this activity, we headed to Bayfront MRT station and had lunch at Marina Bay Sands. The food court served every type of ethnic dish you can imagine! After lunch, we went to the Gardens and headed to the Heritage area. It was hot, but quite enjoyable. We observed some plants and learnt about their uses and significance in Singapore’s culture. One of the signs we found had detailed information about the coconut. The coconut is mainly used by the Malays and Indians for cooking, decoration and kitchenware. In India, the coconut is a very popular food and ingredient. Indians use them to produce coconut oil, which is commonly used in their cuisine. It helps to reduce the spiciness of their food. Coconut oil is also an ingredient in some medicines. It is used to cure illnesses such as the common cold and headaches. It can also be used as a hair treatment. On the other hand, the Malays use coconuts to make beverages and candies. 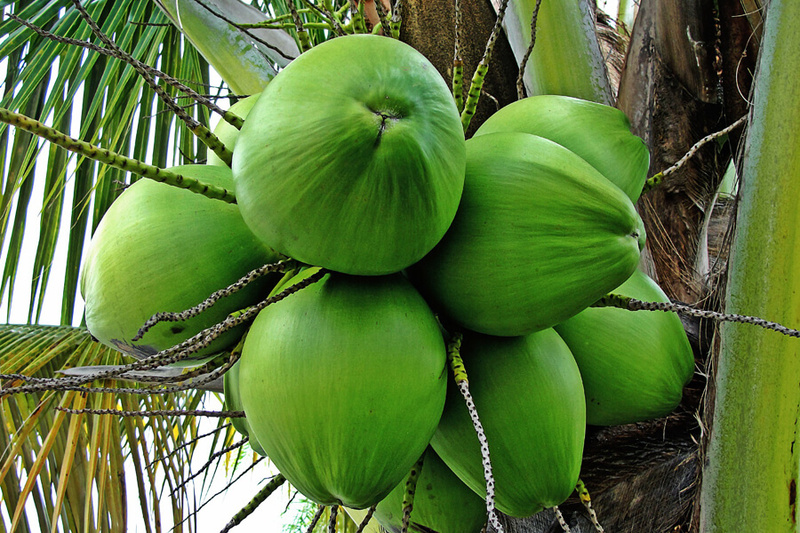 The juice of the young coconut is one of their favourite drinks. It is also made into coconut oil for cooking and massages. The shells are used as containers and kitchen utensils. Nothing is wasted. In Singapore, another use of coconuts is to make kaya jam. It is the main ingredient, mixed with milk, egg yolks and brown sugar to make kaya. We are not sure if kaya originated in Singapore or Malaysia, but it is quite popular in other Southeast Asian countries as well.